Simple, quick and in a box. A Sloom mattress is compressed and shipped in a box, delivered to your door. Testament to the excellent quality of our foams, the mattress fully recovers after you take it out of its packaging. Open the box and pull out the rolled up Sloom mattress. With the mattress still rolled up, position the Sloom mattress on your base. 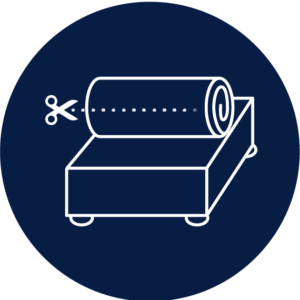 Remove the outer wrap and gently cut the inner wrap without cutting the mattress cover. 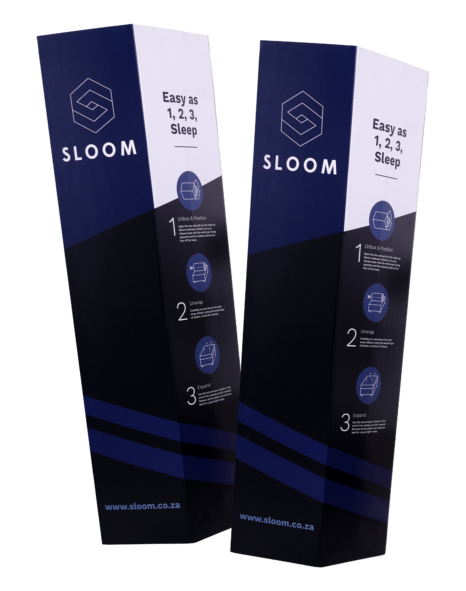 Your Sloom mattress will expand automatically when removing the wrap. It is now ready to use. 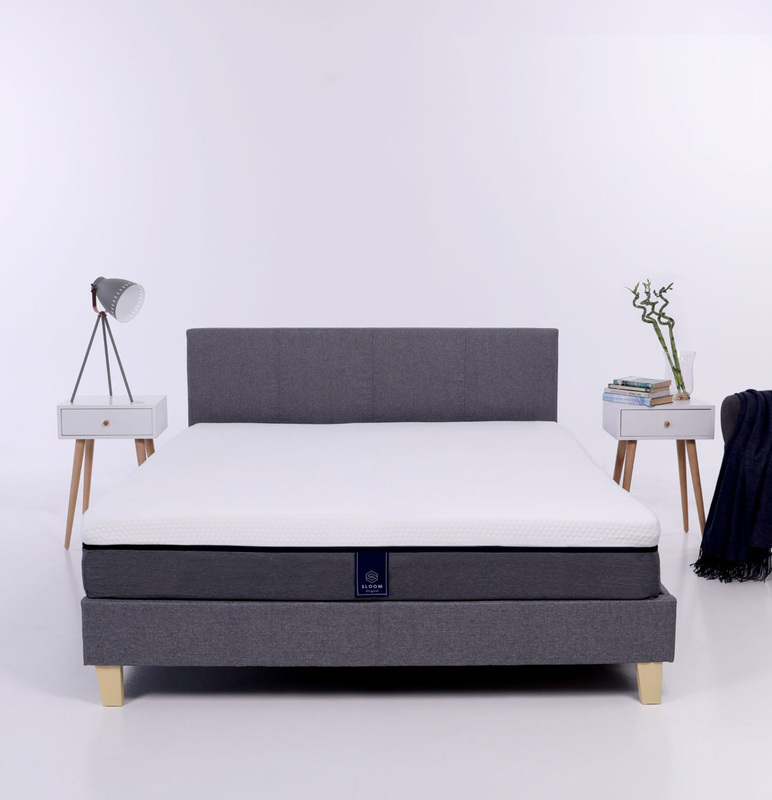 South Africa’s first customisable mattress. 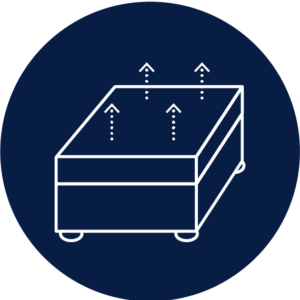 Our ﬂagship mattress takes the hassle out of choosing a bed. If you’re not sure what ﬁrmness level works best for you, don’t worry, you can change it at the comfort of your own home. The Sloom Classic mattress combines 4 layers of premium foam for luxurious comfort and perfect support. With a memory foam layer for a universal comfort preference. We don’t use any rebonded foams or low/medium density foams, ensuring a high quality, durable product. Using ultra dense foams with the ideal firmness levels, ensures correct spinal alignment. 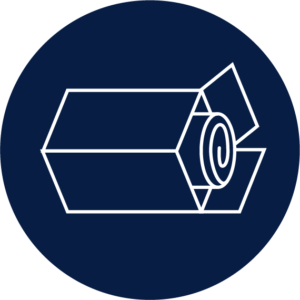 Innovative packaging allows us to ship anywhere in South Africa at no cost to you. 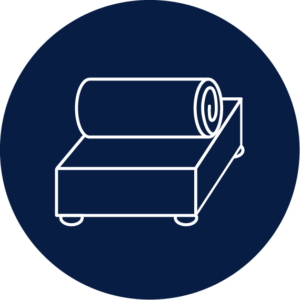 We are focused on simplifying the mattress buying experience for our clients and will go the extra mile to see that our clients are 100% satisfied. I'm so impressed - for many different reasons. My notes and thoughts: I went shopping for a new bed and found it to be incredibly frustrating. The salespeople are not well trained, with two people in the same shop regularly giving conflicting opinions. There's no transparency in pricing or models with traditional brands. The brands have so many different models (that are almost the same), at so many different price points, it's basically impossible to make an informed decision. I eventually just gave up and decided a new bed wasn't important enough to sacrifice my sanity. On a whim I though it's see if it was at all possible to import a Casper mattress. That's when I came across our local hero, Sloom. I gave Sloom a call to find out more info, and was kindly helped by Rudo. Within minutes I had decided to give Sloom a shot. With the guarantee they offer, I had nothing to lose. A couple of days after ordering the huge box arrived. To unpack it was a fun adventure for the whole family. Our kids loved it, and we loved it. This mattress is epic. Just buy it. It is customisable but we haven't even bothered doing that. Soft is perfect for us. This bed is perfect for both side and back sleepers. The cover is top quality and the lack of movement through the bed is almost eerie. No wobbling, no creaking, no hard or soft spots. This is awesome. The big bed manufacturers need to watch out - Sloom is going to eat their lunch. Mattress is of really high quality and super comfortable. Very satisfied with order process and delivery. Thanks a lot! Unbelievable service. Despite living in Joburg and ordering from Cape Town I received my delivery within 3 days, with excellend communication to go along with the speedy service. To top that off the quality of the product is outstanding. I have never slept better. Very pleased with the mattress. I had an expensive memory foam topped mattress before which always gave me a sore back and with the sloom it is much better. My wife has her side softer and my side is more firm. At first I thought the division between the two halves would be a problem but it's not noticeable at all.